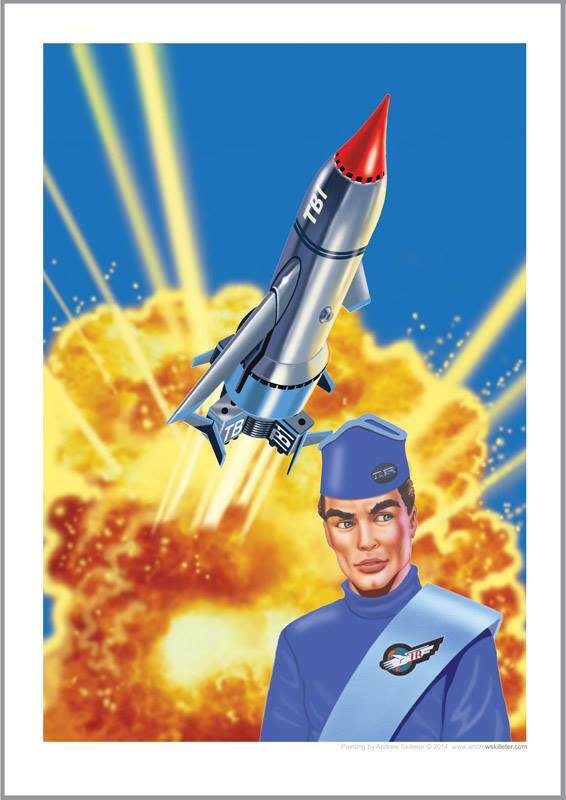 Professional Gerry Anderson artist Andrew Skilleter is offering six new Anderson art prints of Thunderbirds 1, 2, 3, 4 and 5 for sale. The famous craft are accompanied by their Tracy brother pilots, together with FAB1 and Lady Penelope. The print range has also recently been expanded to include Stingray and Captain Scarlet. These prints are privately published and are only available direct from the artist. For images and full details on how to buy, plus his Gerry Anderson magazine artwork, check out Andrew’s Facebook page. This entry was posted in Merchandise and tagged Andrew Skilleter, Captain Scarlet, original artwork, Stingray, Thunderbirds by admin. Bookmark the permalink.